This recipe is one of the best to get rid of cockroaches. Out of all the variants I’ve tried, this is the most effective. It’s simple to make and you only need everyday household items. The fresh onion is what really makes this recipe. Cockroaches are attracted to onion so the balls will start working immediately. But as the onion starts to decompose it continues to attract cockroaches. The balls also help to slow the decomposing so they’re effective for quite a while. Finely chop up the onion. Add enough milk to the mixture to make it all come together into a dough. Pie crust consistency. Roll into 1-2cm balls. The larger size last longer and are a bit more effective as it contains more onion. The smaller size is better for placing them in smaller spaces. Sometimes there’s not a lot of space behind fridges and dishwashers. Place them on wax paper and allow them to dry. You could place them like this, but they’ll be sticky and will stick to the surface. Something you’ll have to clean up later. These are not edible. Do not place them where children or pets can reach them. Under stoves – just need to be careful that the region doesn’t get too hot. Otherwise the balls will cook. Thanks for the tips.. I’m going to try this. don’t like cockroaches!! Over time they may dry out and the attractant won’t be as effective, but they won’t lose their potency. 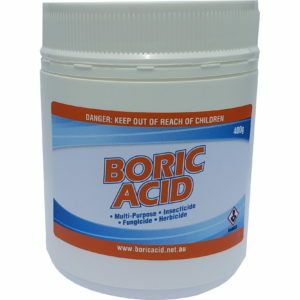 Boric acid will remain effective for many months. If the cockroaches are taking the bait, you shoudl start seeing dead ones in a few days. Do i have to use wax paper or can i use baking paper? You can use baking paper, but it is slightly absorbant. You may get some bait seep through to the floor after a few days. It’ll also accellerate the drying out of the bait. The wax paper doesn’t have these problems. been making Boric balls for years the first i put them on the floor with nothing under them, took weeks to clean it.I next used the base of an egg carton break into cells can be picked up and moved for sweeping, it also works on mice. Mice! Will have to check this out. Sounds very interesting. How does this actually kill the cockroaches? Is it a poison that they eat? Will it kill other animals like spiders, geckos etc? 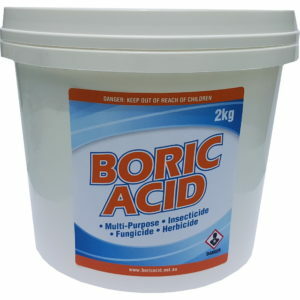 Boric acid can also kill spiders and geckos. Our guides are primarily designed for indoor use. It’s near impossible to target a single pest outdoors. I’m glad to see you have very obedient and agreeable cockroaches. Yes, that would work. Just need to give the diswasher a rinse afterwards. With a wet cloth would be fine. You could also wear rubber gloves to be on the safe side. Just wanting to know if this will work on German Cockroaches? Yes, this will also work on German Cockroaches. Hi, i just bought one package and hope to get rid of german cockroach which has been our problems from summer. I have seen them under my microwave but i checked and clean and i still don’t know where they came from (we’ve plaster all the possible opening as well) I will tried this ball and hopefully it will work. My question is, how long should i leave these balls and can i put small balls inside the microwave? then how can i clean it later? many thanks. Don’t put the balls in the microwave, just put them around. They’re probably just using your microwave for shelter and come out to feed. The balls will last for a few months. Thet don’t need to go inside the microwave. They can be thrown in the bin after and a wipe of the surface will clean up any mess. My experience using them on a live aboard boat was to add fresh ones after 2 weeks to kill any new hatched roaches. Hi. I made boric acid balls. Hi. I made boric acid balls. After a while they became rock hard. Are the cockroaches able to eat that hard thing or did i make it wrong? 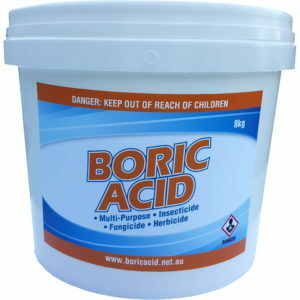 Also, can i use the boric acid powder alone? Thank you. 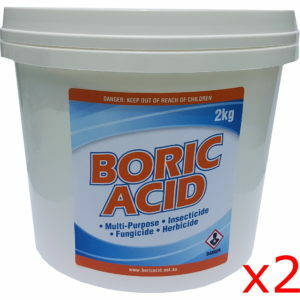 just received my boric acid can’t wait to try out these balls and see the results to this pesky pests. I tried borax for a little Ng time not realising that they like the stuff and the boron is good for them. Can’t wait to make a batch of cockroach cookies with boric acid because we’ve been plagued by these little blight ears for years. Thank you. 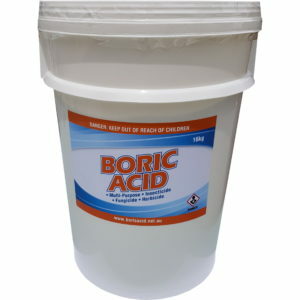 What if i just have 50 gm of boric acid? 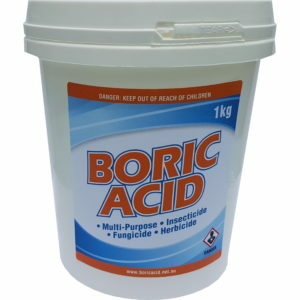 That amount of boric acid will also work, it just may not work as fast. It may work, but it sounds more like a recipe for getting rid of ants with boric acid. It does work. I have been using this method for the past 25 years and never had to deal with cockroaches. 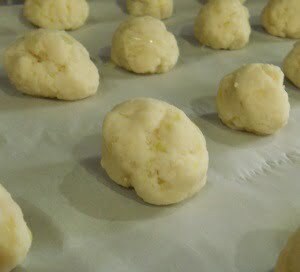 Boric acid, sugar, milk .. mix to form a dough and lay the little balls around the bathroom, kitchen and any ‘wet’ areas. Just ensure that these balls are not in reach of children and pets. can you use greaseproof paper? It does work, you can omit the honey. Boric acid + sugar + milk can do as well. Thank you so much for this recipe! It definitely works! What can I add to the boric acid balls to keep them soft? The balls are still effective when they go hard. The cockroaches will still consume them. No recipe to review, just mentions onions, but not if raw or boiled to mix with the boric acid so going with the Nth Qld recipe in comments. I made these balls 1 1/2 years ago. It worked. I need to make new ones now. I use boric acid, cooked egg yolk and a mashed potato. I order a tub today and waiting for my delivery to arrive.. hopefully soon! We have roaches coming into the house from outside and they don’t seem to be interested in any of the expensive roach gel bait I have purchased (Advion & Maxforce). Wondering if the bait can be left outside near the door to kill them outside rather than waiting for them to get in and eat it indoor? I am 80% certain that their nest is somewhere outside but it is quite difficult to locate it. If you do leave a bait outside you need to ensure only your targetted critters can get to it. You wouldn’t want pets or other animals consuming it. Will borax work as well?